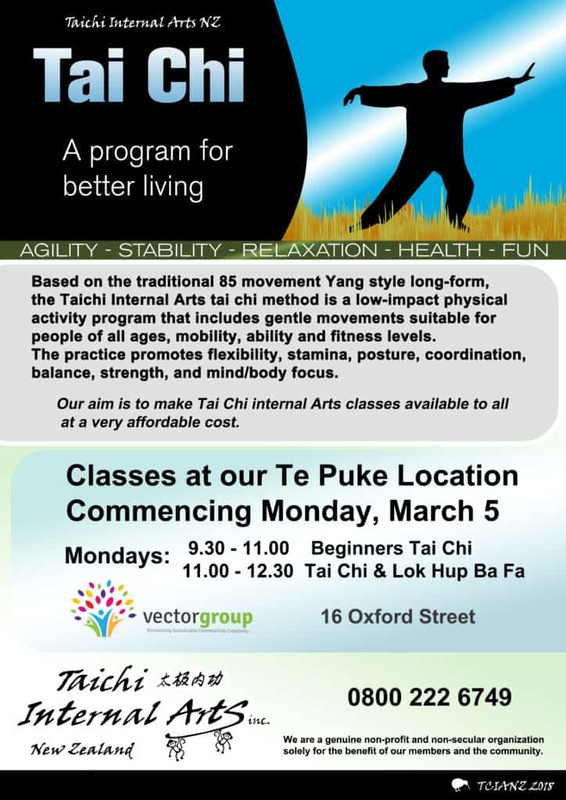 Thank you for the great opportunity for our new Tai Chi group to use the Vectorgroup facility. Our group is the Taichi Internal Arts NZ Inc, which has been formed in response to a need for a democratically run, not for profit and non-religious Tai Chi organisation. The demographic that we appeal to is in the 50+ age group with some students in their 80’s. 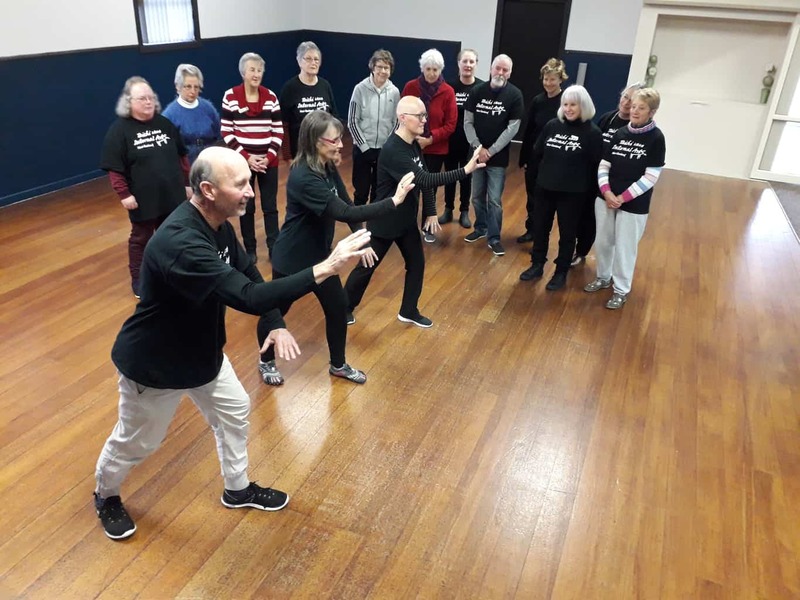 There is a growing awareness in this age group of the major health benefits of Tai Chi and the importance of being proactive in looking after yourself. Your facility has a number of features that make it very suitable. One level easy access from the street. Comfortable seating area for socialising. Well equipped kitchen facility for fundraising and social events. We understand that the building is in a transition stage from its previous use as the service club to a modern youth and community multipurpose facility. This will require a lot of funding and hard work. Initially we plan to use the hall every Monday morning from 9.30 to 12.30 to teach Tai Chi to anyone who is interested, at the lowest price possible. As demand dictates, we will increase the number of classes as required. As the building undergoes its upgrade, I’m sure more and more people will be attracted to partake in the activities held there.